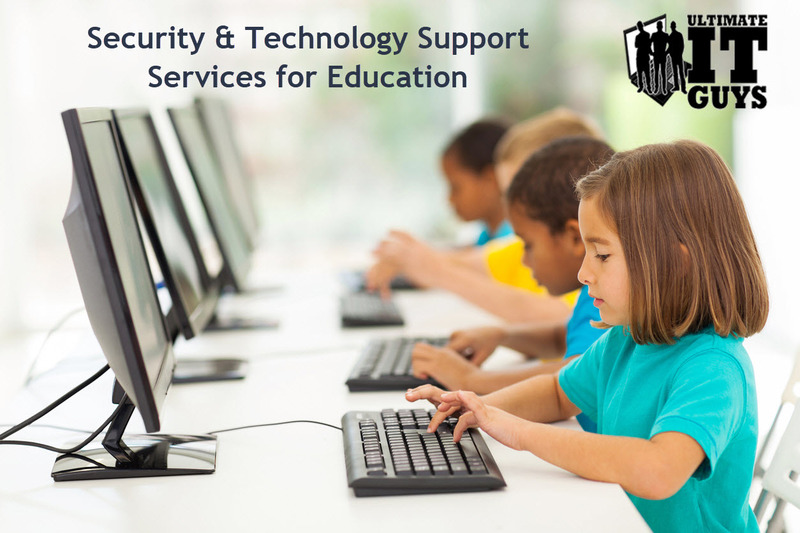 We help schools use technology to be safe and productive in the classroom and the administration offices. In a recent report to the U.S. Congress, the Kentucky Department of Education said its schools faced more than 4 billion breach attempts in 2017. A wide range of cybersecurity threats are sweeping through the education sector, creating problems and costing public schools significant time, money, and trust. Criminal hacking groups have terrorized and extorted school communities. Email scams have led to identify theft, fraudulent tax returns, and stolen public funds. Configuration mistakes and lack of updates by district staff, third-party vendors, and other outside groups have left teacher and student information vulnerable. Still, most school leaders are likely underestimating the real dangers they face. (3) To make matters worse, most schools are struggling with just keeping their technology working, much less keeping it secured. Small rural schools lack the budget and man-power to properly take care of the technology in their schools. Technology, and especially security, has become very complex and changes daily. It takes alot of time and effort to stay on top of new developments and have the knowledge that is needed to stay ahead of the bad guys. The IT work of a school is important and requires focus. To be successful, it cannot be someone's secondary responsibility. It also requires more than 1 person to do it right. However, small rural schools lack the budget to have multiple IT techs on staff. It also requires the investment in the proper management tools to keep everything in good shape. We can help you with the right tools, processes and staff to keep you safe, secure and productive. Our team has many years of experience keeping technology at large corporations running. We have taken that experience and adapted our processes and tools to fit the educational technology world. We can provide a level of experience and service that is not possible when you try to take care of your technology on your own. It is impossible in today's world for one person to be an expert in every aspect of technology. Our team of technicians each have areas where they are very knowledgeable. This allows us to have a wide ranging base of technical knowledge, while still having a depth of expertise to solve the toughest problems. Does your school experience any of these problems? Do you seem to constantly be putting out IT related fires, but never getting ahead? Do you have a good backup of your important files? Do you have slow computers or internet? Do you have strange pop ups or messages on your computers? Has anyone had a virus, been a victim of a 3rd party data breech or a victim of identity theft? Are you not really sure of the over all safety and security of your network? Do you have technology problems that you just can not seem to solve? Do you just wish you could get your computers to work reliably? We can help you with these problems and many more. Security Assessments - 9 out 10 schools have serious security problems that endanger the students, staff and families of the school district. We have the technology and processes to review your network and give you a customized action plan to help lower the technology risk at your school. On-Going Security and Support - We provide remote and on-site technology support to keep all of your equipment working at its very best. We have the technology, processes and people to watch over your network and your devices to monitor for problems, keep your equipment updated, support your end users and make sure that the bad guys are not getting into your network. Technology Purchasing and Installation - When we first go to a school, we usually find a collection of random devices that were purchased based on a personal preferences or whatever was available at the time. Since there was not any overall technology planning, it means that there are devices that can not or do not work properly because they are not compatible. We can help you purchase, configure and install the right equipment, the right way. The way that works and saves your precious money and time. Support Help Desk - If you have an IT technician that you would like to keep on staff, we can still help you. We can provide the tools to keep your technology updated and working properly, then take the first level support calls that can be worked remotely. This frees up your technician to work on just the things that require on-site support. This also frees up your technician to work on more strategic projects, instead of spending all of their time going classroom to classroom to reboot someone's computer or reset their printer. We can also provide additional on-site support to help your technician on larger projects. We would be glad to discuss how we can help your school be safe, secure and productive in the classroom and the administration offices. Give Cleatus a call at 580-782-2266 X11.